With the addition of the Regal Avenir — the fourth Buick globally to get an Avenir trim in less than a year — the momentum behind Buick’s highest expression of luxury continues to grow. Since its introduction last fall, Enclave Avenir has set the pace for Avenir, selling faster than all other Enclave trims and comprising 20 percent of total Enclave sales in the United States. A similar story is unfolding for the new LaCrosse, where Avenir is selling 70 percent faster than other trim levels. 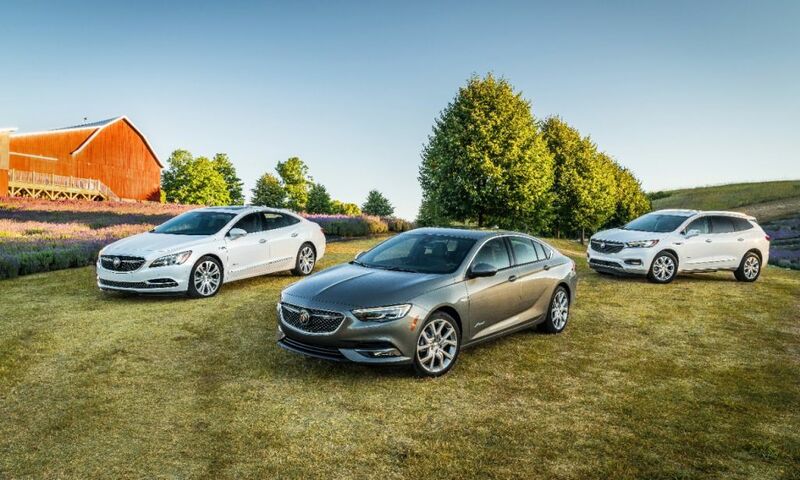 Half of all Regal Sportback buyers are choosing the top trim level, and within the midsize car segment demand is growing for more premium vehicles. Over the past four years, demand has risen 30 percent for midsize cars priced from $30,000 to $40,000, reflecting the increasing customer demand for more luxury, convenience and safety without compromising overall value. Buick’s first cloud-connected1 Infotainment System debuts on Regal Avenir, enabling embedded apps and enhancing how customers interact with vehicle features such as profiles, available navigation, voice recognition system updates and applications. Owners will now be able to personalize their user preferences and seamlessly take that profile with them into any compatible vehicle. Numerous safety and driver assistance technologies2 available on other Regal Sportback models come standard on Avenir, including Rear Park Assist, Rear Cross Traffic Alert, Lane Change Alert with Side Blind Zone Alert, LED headlamps with auto leveling, cornering lamps and driver side auto-dimming mirrors. Additional active safety technologies, including Adaptive Cruise Control – Advanced, are also available. With one of the freshest lineups in the industry, Buick has found success offering premium SUVs and cars with sculptural designs, refined performance, modern interiors and thoughtful personal technologies. Buick’s award-winning customer service and sales experience, along with the new Avenir trim, the highest expression of Buick luxury, are attracting new buyers to experience Buick’s unique approach to attainable luxury. More information about Buick vehicles is available at buick.com.